BASTUN is an independent network of 22 trade union confederations around the Baltic Sea Region. The network has a rotating presidency, each term of office being for a period of one year. The presidency rotates according to the presidency of the Council of Baltic Sea States (CBSS) and runs from the beginning of July to the end of June. The Presidency and the Secretariat form a preparatory and executive body while the BASTUN spring and autumn meetings hold the collective decision making role. High level meetings are held approximately every second year. The BASTUN presidency is from July 2018 until June 2019 held by Latvia. During the Latvian presidency vice president Irena Liepina from the trade union confederation LBAS will be president of the network. 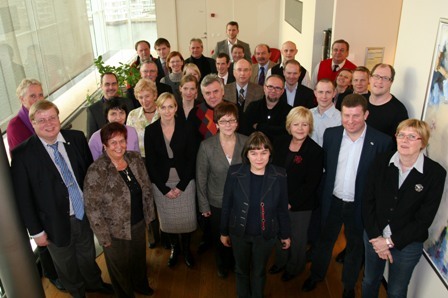 BASTUN's priorities reflect the political and social situation in the Baltic Sea Region. The network follows political discussion and aims to keep relevant issues for the trade union movement on the agenda of all relevant institutions of the region. In July 2019 the presidency will be taken over by Denmark. The BASTUN presidency rotates according to the presidency of the Council of Baltic Sea States (CBSS).